KINGSPORT, TN – Federal, state and local elected officials today joined leaders from Strategic Behavioral Health (SBH) in Kingsport to celebrate the grand opening of Creekside Behavioral Health, a 72-bed inpatient hospital that will serve children, adolescents, adults, and seniors facing mental health and substance abuse challenges. Kingsport Chamber of Commerce President and CEO Miles Burdine emceed a ribbon-cutting ceremony, which featured remarks from state and local elected officials as well as leaders from SBH and Creekside Behavioral Health. "Creekside Behavioral Health is providing a much-needed service for our region,” said Kingsport Chamber of Commerce President and CEO Miles Burdine. “Our medical and law enforcement communities are especially pleased to have them opening here. 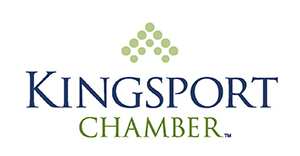 The Kingsport Chamber also appreciates the added jobs and capital investment. Additionally, the employees of Creekside have already become involved in and supportive of our region's communities. Thank you, Creekside Behavioral Health, and welcome aboard!" For additional information about Creekside Behavioral Health, visit www.creeksidebh.com. To learn more about SBH, visit http://www.strategicbh.com.